The Multiple Sclerosis Foundation estimates that more than 400,000 people in the United States and about 2.5 million people around the world have MS. About 200 new cases are diagnosed each week in the United States alone. BeCare Link is working with Dr. Tim Vartanian and his team at Weill Cornell to assemble a Research Team to set up and manage the clinical research requirement to validate the equivalence of the BeCare Link measured tests to the current standard “paper base” test. The EDSS and MSFC, widely accepted scoring systems have been implemented into the BeCare Link app, giving patients, their health providers, insurance companies the ability to compute an accurate and real-time status of their condition. Through our relationship with Weill Cornell Hospital, BeCare Link expects to deploy the platform with more than 10,000 patients with MS. Preliminary results indicate the BeCare Link app’s efficacious aptitude in classifying subjects categorically, identifying the control group, tracking neurologic functionality, and recording the data. A continuum of classifications gathered by the performance data of the BeCare Link app assists physicians in making determinations about how to optimize the timing and dosage of therapeutic drugs. In collaboration with Mt. Sinai’s physical therapy researcher, Professor David Putrino, PhD, PT, BeCare has developed a method of assessing Berg Balance Scale,”BBS”, scores using a low-cost Microsoft Kinect2 motion capture system. BBS is a widely used clinical test used to determine a person’s static and dynamic balance abilities, generally considered to be the gold standard. The proof of concept study showed that BeCare software can assess a BBS score of 45 or greater with an accuracy of 83%, matching the accuracy of a human clinical expert. A composite BBS score of 45 qualified as the level originally used by Berg in assessing the need for a gait assistance device. By developing a reliable system for assessing and monitoring an individual’s balance status, patients and their caregivers can identify when patients are at risk for a fall injury and therefore can ascertain when the use of a gait assisted device or home health aid is necessary. The Galien Foundation is a global non-profit organization, founded 45 years ago by pharmacist Roland Mehl in honor of Galen, the father of medical science and modern pharmacology. Their focus is to improve the human condition and serve as a catalyst for the development of next generation treatments and technologies. 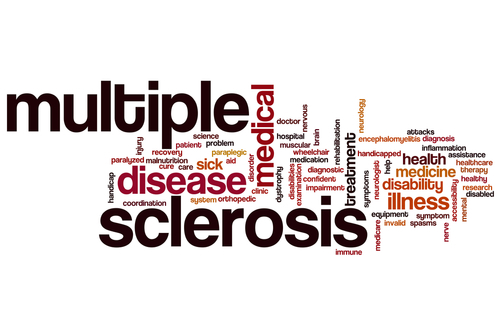 The Galien Foundation and BeCare Link have partnered to develop new opportunities to improve the ways in which MS symptoms are documented and managed, thereby showing promise for improvements in treatment, with better outcomes. The Neurogen Foundation is a non-profit organization assembled of neuroscientists, biologists, biomedical engineers, physicists, computer scientists, mathematicians, clinicians, financiers, and philanthropists striving to make change in degenerative neuron disease by unlocking the mysteries of myelin regeneration. BeCare Link and Neurogen Foundation have formed an alignment to discover new methods of treatments and ameliorate patients’ quality-of-life. 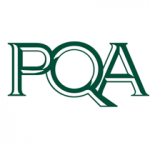 PQA’s mission is to improve the quality of medication management and use across healthcare settings with the goal of improving patients’ health. PQA develops parameters for medication-use measures in areas such as medication safety, medication adherence and appropriateness. Through a development process beginning with identifying high-priority areas that have gaps with existing measures, the continuum of classifications gathered by the performance data of the BeCare Link app could be helpful in making determinations about how to optimize the timing and dosage of therapeutic drugs for neurodegenerative disorders.